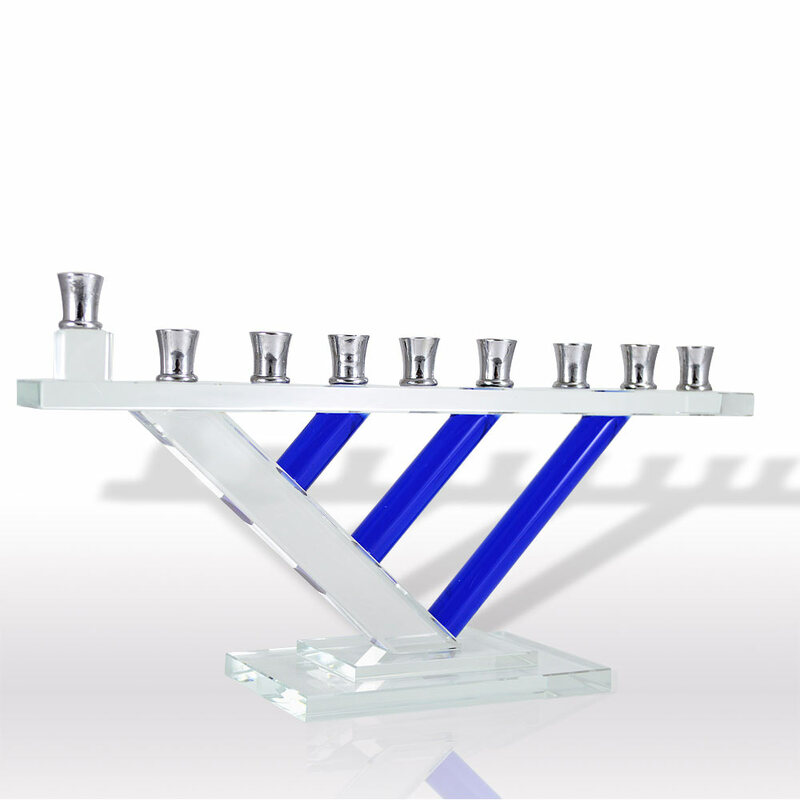 This Uniquely Designed Hanukkah Menorah Is Made With A Clear Crystal Glass That Has Three Rods Of Blue Glass Incorporated Into The Design. 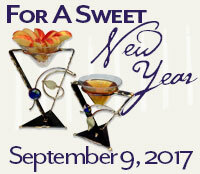 With Pewter Candle Cups That Sit On The Glass Top. 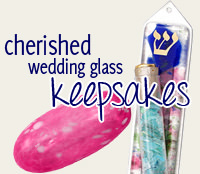 The Menorah Is 9"W X 5"H X 2.5"D.